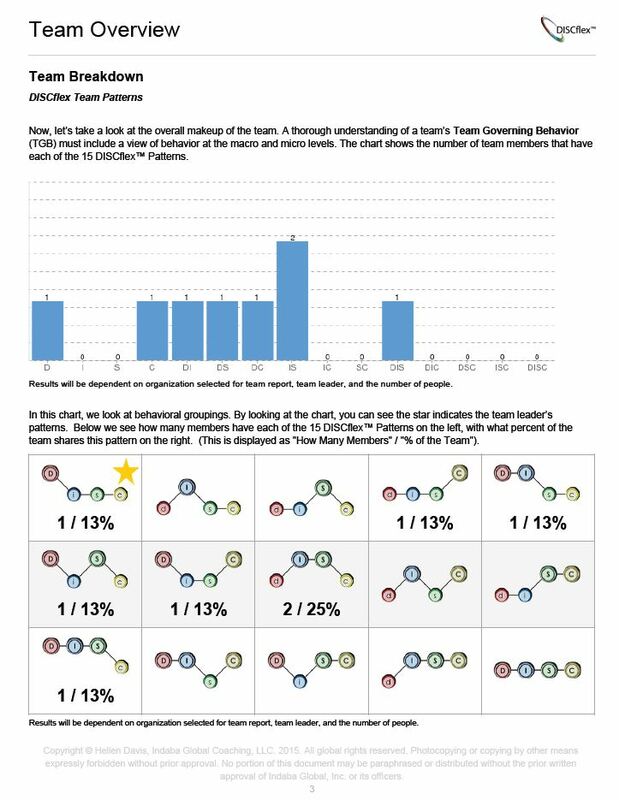 *Please note each person you select for your team must first complete the same DISC assessment. Please see our library of DISCflex Assessment options to choose the program that best fits your team. Purchase a single team report. Please make sure to note anyone you want to include on your team must have previously completed the same DISCflex™ assessment. 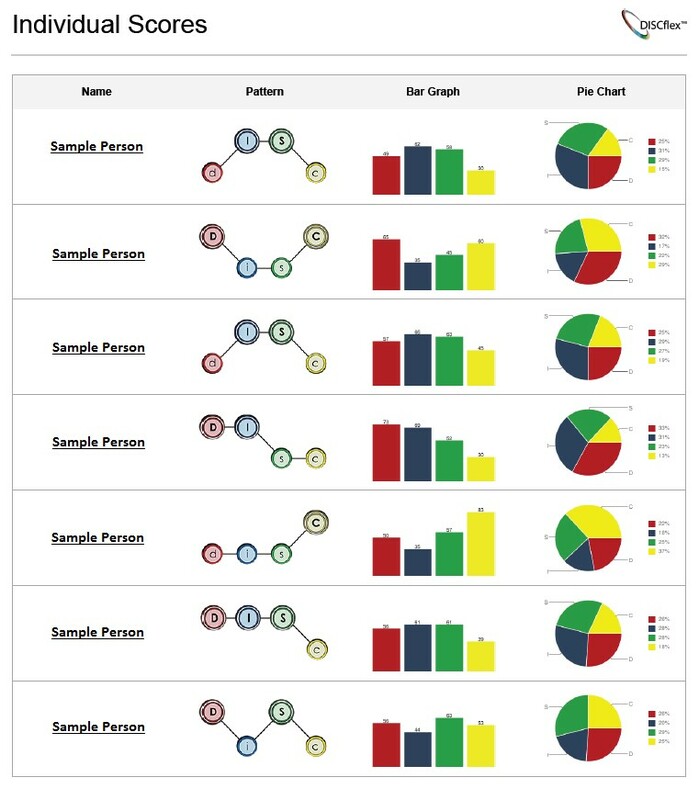 We realized in creating and analyzing teams that you may want to generate multiple reports. Our team report asks you to select a team leader, with unlimited use you will be able to generate multiple reports with various people listed as the team leader. We will train you to be able to generate these reports from your admin account.